Black Seed Oil For Weight Loss - A Simple & Natural Home Remedy! Have you ever woken up one morning and felt like you needed to shed a few pounds? There are all sorts of benefits that come with achieving a healthier weight. You lower the risk of developing diabetes, put much less pressure on your bones and joints, plus you get the self-esteem boost that comes from having confidence in how you look. There are all sorts of diets and exercise regimes out there for people who want to lose a little bit of weight. But did you know that a regular dose of Black Seed Oil can help you along? It’s true. Here are the studies that prove it. One review published in the Journal of Diabetes and Metabolic Disorder examined 33 different studies relating to herbal and natural weight loss remedies  . The key here is that the researchers decided to exclude any animal studies, instead choosing to focus only on studies that examined the effects of such remedies on humans. One of the remedies that made several appearances during the review was Nigella Sativa, which is another name for Black Seed Oil. 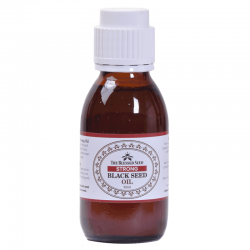 The review discovered that Black Seed Oil demonstrated exceptional weight busting properties. Best of all, it comes with no side effects. You can use it safely without having to worry about it damaging your body. A study published in the Journal of Endocrinology and Metabolism also examined the positive effects that Black Seed Oil has on diabetes sufferers. While not directly linking the oil to weight loss, the study showed that the anti-inflammatory properties of the oil helped to cut down on the triggers that lead to diabetics eating foods that they shouldn’t. It would likely have the same effects on people who simply use the oil to help them to lose a little weight. So, now you know about the research, it’s time to add a little Black Seed Oil into your diet. But we recommend holding back a little bit until you understand how to use it. 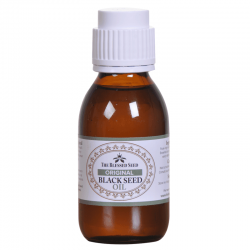 Black Seed Oil isn’t something that you can drink by the cupful to increase its effects. In fact, doing so will only lead to you wasting money, plus your body may struggle to adapt to the oils detoxifying effects. Instead, it’s something that you should add in small amounts to food and drink to help you. You may not think that the oil would make a great addition to food. But the slightly peppery taste that it has can actually make it a nice way to season some of your dishes. Try mixing a little of the oil into soups or similar dishes. You’ll only need a touch though, as it is quite powerful and may overpower lighter dishes. It’s also useful as a salad drizzle. Consider substituting it for your regular salad dressing. You still get a great taste, but with none of the fat that comes with many salad dressings. There’s the old saying that a spoonful of sugar makes the medicine go down. That’s exactly what you’re using to your advantage here. Try mixing a spoonful of oil with a couple of spoons of honey in the morning. You can pop it into a drink if you don’t just want to eat it as is. This mixture will set you up for your day because it helps you to regulate your appetite from the moment you wake up while also giving you a shot of energy. While Black Seed Oil can help with weight loss, it’s not a fast-acting oil. It may take a month or two of eating it as part of a good diet before you start to see the effects in action. It helps to create a food diary with some meal plans to help you keep track of your intake. A good food diary also helps you to keep track of the foods that you eat, so you can see straight away if you may be going overboard. 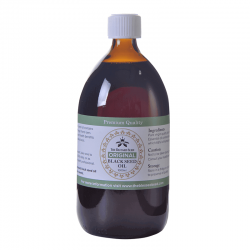 Black Seed Oil is extremely potent. While eating a lot of it won’t cause severe side-effects, it may disagree with your body if taken at the wrong time or in the wrong dosage. Check the volume of the volatile compound in the oil to work out its potency. Also, take a look at our dosage page to get a better idea of how much you should consume and how you should work it into your diet. 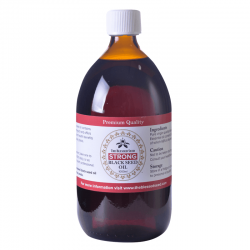 When used correctly, Black Seed Oil can help you to lose a lot of weight. Follow these tips and check our store for all of the Black Seed Oil products that you may need.